Images & Video Credit & Copyright: Gavin Heffernan, Sunchaser Pictures & Mehmedinovic of Bloodhoney.com . Here’s a great new timelapse from two great night sky photographers/videographers, Gavin Heffernan of Sunchaser Pictures as well as Harun Mehmedinovic of Bloodhoney.com. As an amateur astronomer and night sky fan, this is a tremendous video with a cause near and dear to my heart; light pollution. It’s true that every year, every month and every day, human expansion and development is quite literally robbing humanity of the night sky. Many locations throughout the world can’t even see the night sky aside from the Moon and a small handful of bright stars. Science, human innovation and general growth isn’t a bad thing, but as far as nighttime lighting, it’s an asset that can certainly be used in smarter and more efficient ways that most people use it today. Below is an excerpt from Gavin’s YouTube page detailing the project they’re undertaking. I hope you enjoy this video and associated images and I hope you join the night sky community in supporting this effort. 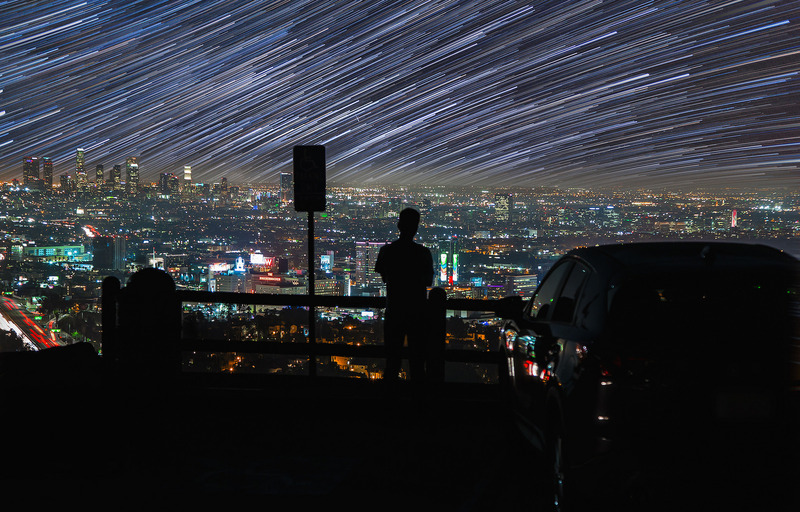 An experimental timelapse video created for SKYGLOWPROJECT.COM, a Kickstarter quest (April 3 – May 9th, 2015) designed to explore the effects and dangers of urban light pollution in contrast with some of the most incredible Dark Sky Preserves in North America. Learn what you can do to help! Please contribute to the SKYGLOW campaign now or before May 9th if you can or help us spread the word, so we can all help save the night skies! 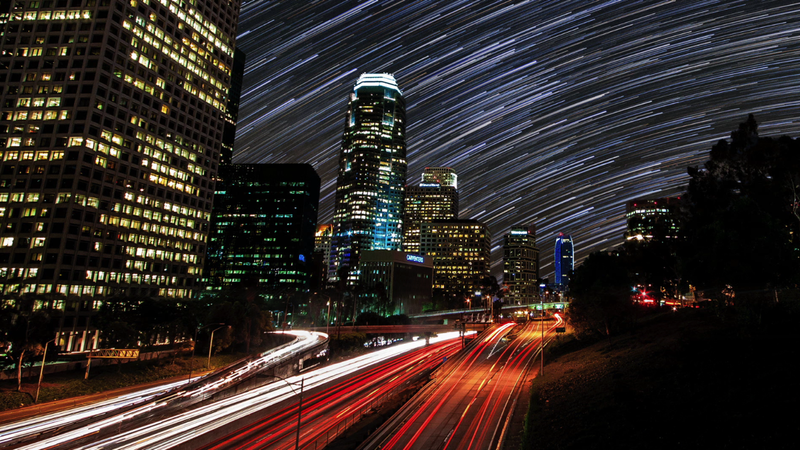 See / Embed our “Call to Action” video here: www.SkyglowProject.com Inspired by the “Darkened Cities” stills project by Thierry Cohen, this short film imagines the galaxy over the glowing metropolis of Los Angeles through composited timelapse and star trail astrophotography. Shot by Gavin Heffernan (SunchaserPictures.com) and Harun Mehmedinovic (Bloodhoney.com). 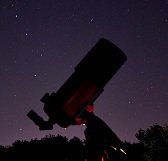 SKYGLOW is endorsed by the International Dark Sky Association www.darksky.org. Image | This entry was posted in Astronomical Events, Astronomy (Learning), Astrophotography (Wide Field), Images, News, People, Video and tagged Astronomy, Astrophotography, Blood Honey, Bloodhoney, CA, California, DanSpace77, Gavin Heffernan, Harun Mehmedinovic, LA, Los Angeles, LosAngeles, Night Sky, Science, Sky Glow, Skyglow, Space, Star Trails, Startrails, STEAM, STEM, Sunchaser Pictures. Bookmark the permalink.